These tangy lemon sugar straws have the sweet-tart taste of lemonade, in a nostalgic Pixy Stix-inspired package. This recipe yields quite a lot of lemonade sugar, so you can be creative in how you serve it. Instead of filling straws, consider serving it in small gift boxes or candy packages. You can use any flavor of Kool-Aid that you like in this recipe. Citric acid can be found in many specialty baking stores and large grocery stores—or try the bulk spices section of a nearby grocery store. It can be omitted, but the candies won’t have the same tart “zing” it provides. 1. Whisk together the sugar, Kool-Aid, and citric acid, if using, in a medium bowl until well-combined. Taste it and add any extra sugar or citric acid to suit your tastes. 2. 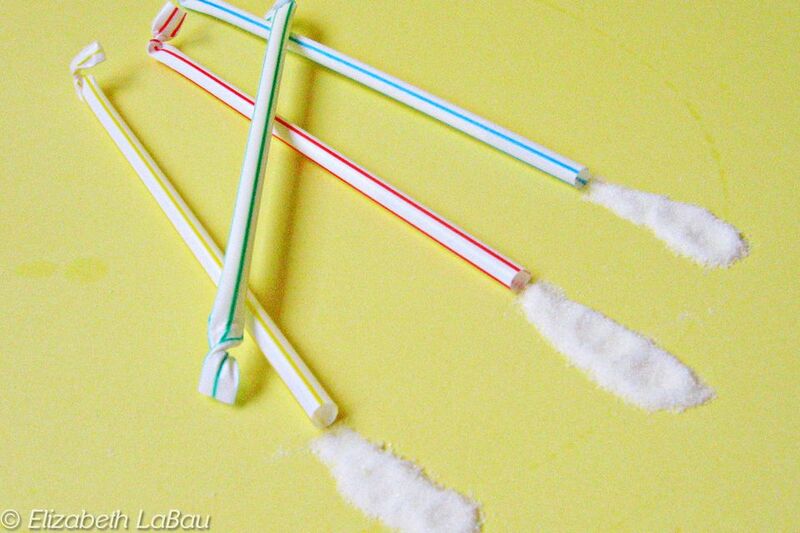 Twist the bottoms of the straws until they form a tight seal. Fill a cup with rice or beans and set the first straw to be filled upright in the cup. 3. If you have a tiny funnel, you can use that the fill the straws. If not, twist a triangle of paper into a cone and tape it tightly. Cut off the bottom of the cone to form a hole large enough for the sugar to flow through, but small enough so that it fits in the opening of the straw. 4. Place the funnel or cone inside the straw’s opening, and spoon sugar inside until the straw is filled almost to the top. Twist the top closed and repeat with remaining straws.